Delia Graff Fara (1969-2017) was a member of the Philosophy Department at Princeton 1997-2001 and 2005-2017. Fara was born on April 28, 1969 in Jamaica, Queens and grew up in Great Neck, Long Island. After receiving her BA from Harvard in 1991 with a joint concentration in philosophy and government, Fara began graduate work in the Harvard philosophy department, intending to focus on political philosophy. Early in her graduate career, however, Fara's interests shifted from social philosophy to logic and the philosophy of language, at which point she transferred to the graduate program in Linguistics and Philosophy at MIT. She received her PhD in philosophy from MIT with a minor in linguistics in 1997 with a dissertation entitled "The Phenomena of Vagueness", completed under the supervision of Robert Stalnaker and George Boolos. 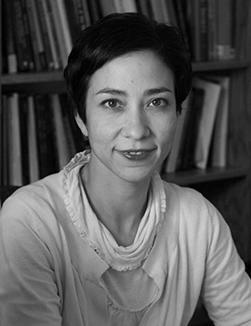 Fara joined the Princeton department as an assistant professor in 1997, moving to the Sage School of Philosophy at Cornell in 2001, where she received tenure, then returning to Princeton in 2005, where she was promoted to full professor and remained until her untimely death on July 18, 2017. It was during her first stint at Princeton that Fara completed her early landmark papers on the semantics and metaphysics of vagueness, including her classic, widely anthologized essay, "Shifting Sands: An Interest-Relative Theory of Vagueness" (Philosophical Topics 2000, published under the name "Delia Graff"). Like all of Fara's papers, "Shifting Sands" is crafted with lapidary precision. Fara placed great emphasis on the formal rigor that characterizes analytic philosophy at its best, but also on what her collaborator Timothy Williamson has called "scrupulous imagination": a vividness of thought that elevates her prose. Fara's work on vagueness aims to explain the peculiar and seemingly paradoxical behavior of vague language. On Fara's view, the apparent fuzziness of vague language is an illusion. On any given occasion of use, a vague expression draws a sharp line between the items to which it applies and the rest. The illusion is explained by the fact that this line is constantly shifting in such a way as to guarantee that whenever we consider a candidate for the sharp boundary, the boundary is guaranteed to be somewhere else. Fara's great achievement was to provide a plausible mechanism for this contextual shift, linking the lexical semantics of vague words to the local, practical purposes of language users. As a teacher, Fara introduced a generation of students at Princeton and Cornell to the intricacies of formal logic and semantics. She was a famously compelling teacher, conveying the value of formal methods while acknowledging the difficulties inherent in bringing those methods to bear on the recalcitrant material with which philosophers are concerned. Fara was a demanding teacher with high standards; she was also unfailingly supportive and encouraging. In working through problems on the board, Fara would pause to remind her students that even professional logicians often find logic difficult, and that she herself found the homework in her courses challenging. Both inside and outside the classroom, Fara was a tireless advocate for diversity in philosophy. She was the champion of graduate students from underrepresented groups – a role that began unofficially and informally, but which the department later came to formalize. Her impact on the Princeton Philosophy Department's graduate program was immense. Fara was a singular presence in philosophy: intense, vivid, quick to laugh but also relentless in her insistence on explicitness and rigor. In a quotation appended to a photograph of Fara in Philosophers by the photographer Steve Pyke, Fara summed up her view of the subject to which she was so devoted: "By doing philosophy," Fara wrote, "we can discover eternal and mind-independent truths about the 'real' nature of the world by investigating our own conceptions of it, and by subjecting our most commonly or firmly held beliefs to what would otherwise be perversely strict scrutiny."